A lot had happened in these 2 days. 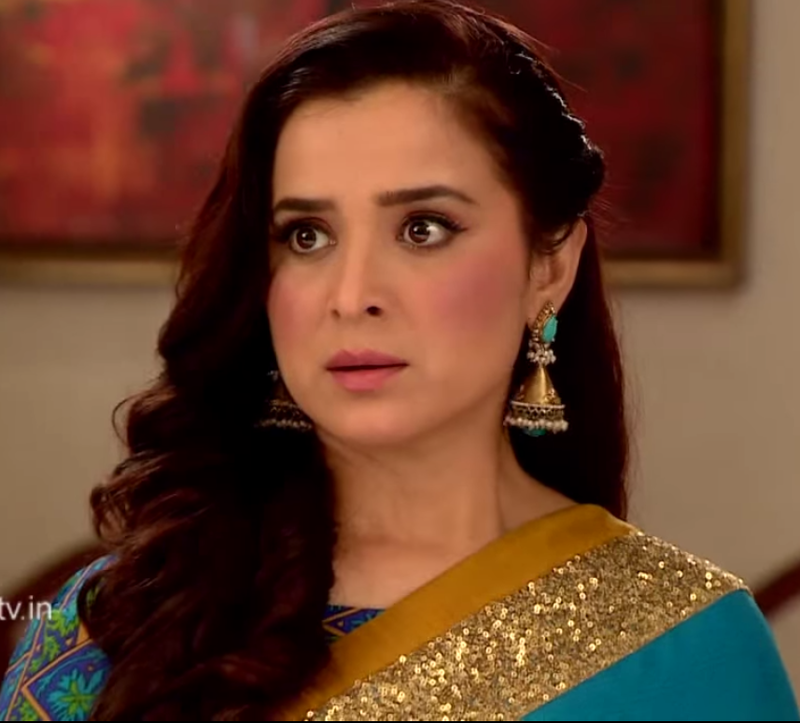 Ragini had announced that she was pregnant and somehow…Laksh was super happy. The both families had rejoiced and considered Ishani as Lakshmi. Anahia had showered Ragini with all the love in the world and given her an expensive diamond set. Raichand’s fmaily gynae Doc.Mehra is shown . She has just examined Ragini. There’s nothing to worry about. Sometimes the menses are late. Anahita smiles – and ? .sometimes people feel nauseated due to food indigestion. So its abosl*tely normal. Hormonal changes. Ragini surprises – what do u mean doctor ? Ragini and anahita get shell shocked. Anahita gets up – thankyou doc. They come out of the room. Ragini tries to talk, but anahaita leaves. Ragini wipes her tears . Swara is shown walking around when laksh comes with a baby poster . Umm see this poster. How is it ? Aww…this is so cute !!!! I know right ? ragini told me that during pregnancy, looking at cute baby photos makes ur baby look cute too ! Haha . swaru..im very ashamed i acted like this with ragini. first i didnt want a baby..but now i do..im already attahced to it..
good that u have realized. Meanwhile, swara gets a call. Swara….i have something to say..
Anahita – im so disappointed with her . Suhana- I agree bhabhi . Laksh comes walking by the stairs when ragini is asking him to wait and listen to her. Laksh doesn’t. Laksh I didn’t do it deliberately . Laksh at an instinct ends up slapping her. Ragini gets shocked. Swara shouts – Ragini ! Anahita surprises. Suhana shouts – laksh ! Swara goes to ragini and holds her. .are u okay? lucky..how could u ??? Laksh defends – no….ragini..baccha im sorry..tumhe lagi toh nahi..
Dadi – laksh..did we teach u to man handle ur wife..
Ragini runs to her room. Laksh is about to go . Swara – leave her alone Lucky. Laksh – I didn’t do it deliberately. Yaar..swara..u think I can hit her..??? Swara – aise kaise maaf kar de sanskar …he has a fault. He slapped her. Sanskar – he didn’t do it deliberately. Human instinct. Swara – animal instinct ..
Swara – sanskar..u know ur brother’s fault . now if u try to defend him…. Sanskar – accha baba cool. We are supposed to patch them up and here we are fighting like crazy..
Sanskar – lucky..now say…do u want my help or u can melt her on ur own . Laksh – offcourse yaar…I need help…sanky.bhai.yaar I love her a lot..u know na..i was just upset about the baby thing. I was sussenly feeling attached to the baby and..
Swara – rags..ho gaya na yaar…ab bhul ja..he is sorry. Atleast listen to him once..
Ragini – I know Swara..he didn’t do it deliberately. But he most important thing in a marriage and in any relation in understanding. Even I lost the chance of being mother. How could he blame me alone . Swara nods. She gets a call. Rags plz..im putting it on speaker. Excuse me. im tevar sharma speaking. Who is this ? Swara raichand. Who are u ..?? Ragini gets hyper at once. Hello…kaun hai aap..laksh ka phone aapke pass kya kar raha hai..laksh kaha hai ?? Swasan come wlaking. Ragini is shown walking. She screams – laksh..laksh..kaha hai aap..
She breaks down on the road. Suddenly someone picks u=her up. Laksh is shown. Ragini at once hugs him tightly. She kisses his face, cheeks ,forehad and hands..
Im fine..baccha..pls don’t worry..im fine..im fine ..cool..
.whats all this about accident ha…?? Areh mat pucho..someone stole my phone . Shut up laksh..i got so scared. Ragini slaps his chest – pagal ho..stupid ho….!!!! Swara slaps his shoulder . Swara – sanskar…yeh jhagra thodi na hai…yeh to uske pyaar jatane ka tarika hai !! 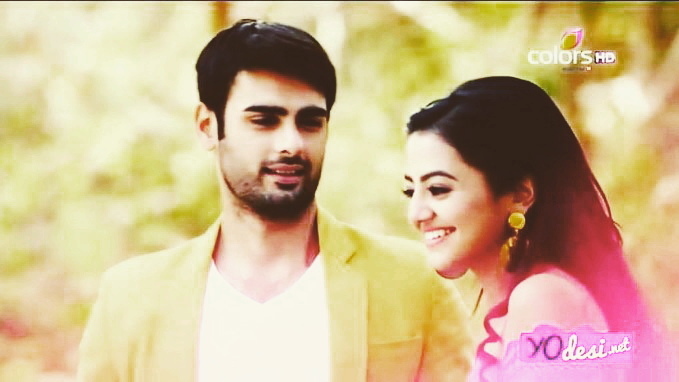 Sanskar pouts – ha..ha..dono sahelion ka pyaar jatane ka bara ajeeb tadika hai..
Swara giggles – aab jo hai yehi !! Swara – why are u standing like a moron ha ? we need to do something sweet for them. Lets book a table at a restaurant. Sanskar smiles – lets book two ! 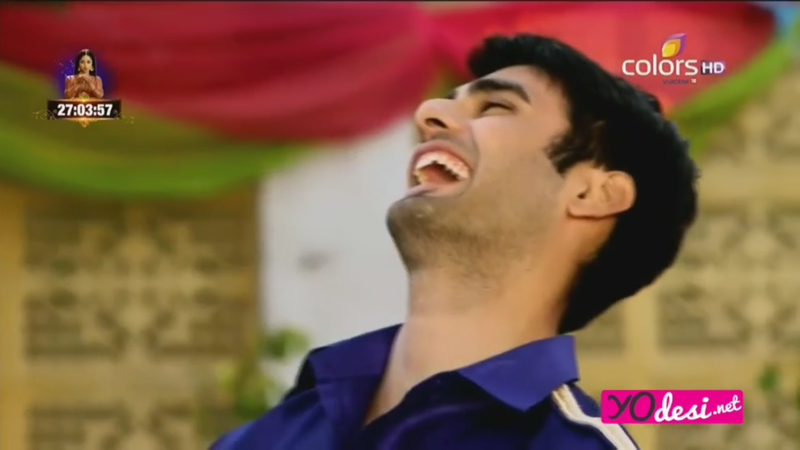 Swara slaps him on his shoulder continiously and laughs. Sanskar shows her his tounge – I love u too ! Suhana gets food ready on the table. The living room is shown getting cleaned. 4 people get off a truck. A man(sanjeev bhatt) in huge beard is shown . he smokes a biri. Meanwhile, another woman (madhuri sanjeev ) comes down the truck. She is shown in a poor saree. She is wearing sun glasses. A lady (kanika maheshwari ) in a red saree and tacky jewellery is shown. 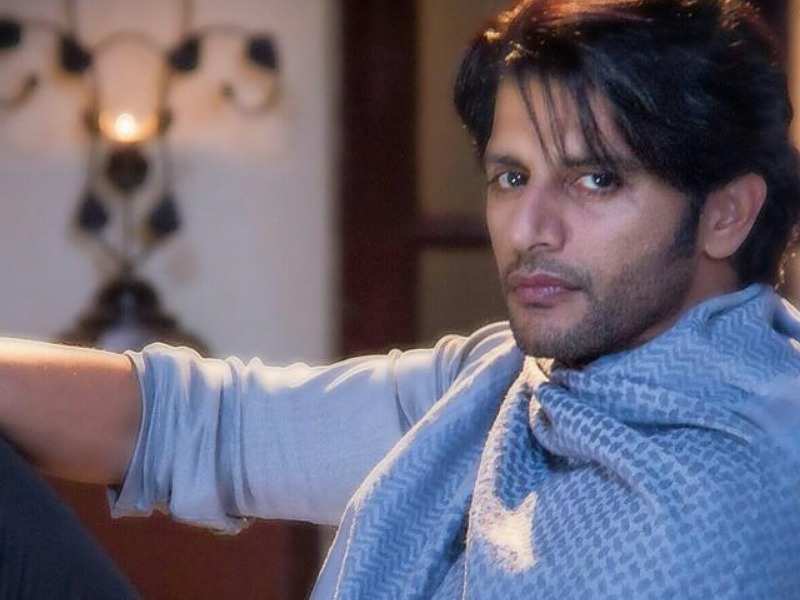 A boy (karanveer bohra ) in chains and bracelets is shown . They come forward. Guard stops them. Guard – who are u ? Man – im Molaram Bajrangbali . and this is my wife, rupvati bajrangbali. And my bahu, mona bajrangbali. Guard smirks – as if I care ? why are u here ? Molaram – ke lol ??? Guard – gopi madam and archana madam will faint at this. So who is ur daughter ! Molaram – mari dikhri ?? Ishu…Ishani bajrangbali ! Guard rolls his eyes. – get out ..
Kunj stops him – areh wait wait…alok bhai..they are our in laws..
Kunj – are really..Roody;s in laws. Guard gets shocked – oh..
Kunj looks at them and gulps. Kunj – jai shri krishna ! Mona – yes..i think the same . Rupvati showers him with kisses. Kunj moves away – excuse me what are u doing ? 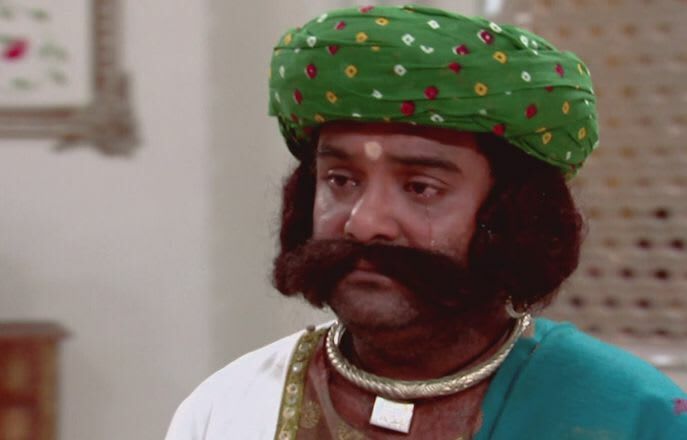 Kunj – what the f**k ! MONA GRINS – KYA f**k ??? The family is shown . Kunj – roody..what have u done yaar ?? ranveer eats an apple – kyun ? Kunj – annie mami…get ready….biggest tufaan is coming . Anahita sighs – they r the worst. The bajrangablis are seated. IshVeer sit uncomfortable. Sanlak sit on the sofa, while swaragini sit on the handles beside them. Molaram – im molaram bajrangbali..ishu’s babu ji. Ishani sheepishly msiles. Rnaveer drinks water. And this is my wife, rupvati . and this is my son, Kaliya. Kanchi wonders – wow..names ! Ranveer coughs..Anahita coughs too. Suhana chuckles. Dada ji – umm…so..im Arvind raichand. This is my wife Ganga raichand. My son Ashish Raichand. And he is avish raichand, my younger son. These are my bahus , anahita and suhana . Molaram and his wife nods. Dada ji continues – this is my oldest grandson, shivaay. 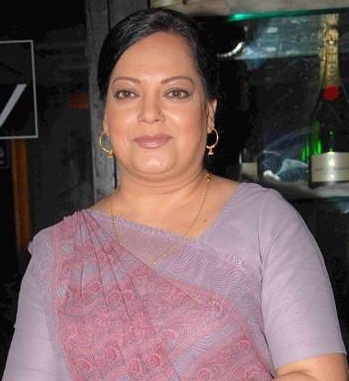 And this is his wife, our bari bahu Anika. Rupvati – ha..dikh raha hai..kitni badi hai..
Anika hesitates. 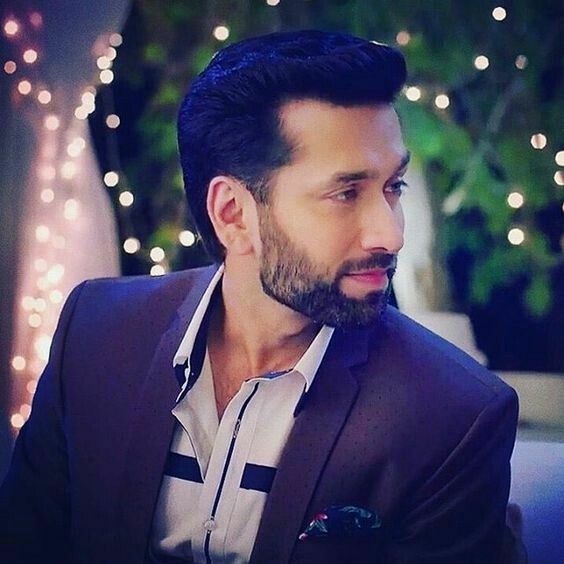 Shivaay rolls his eyes. Rupvati – beta tera kadh kitna hai..
Anika – umm..5 feet 7 ..wo..panch foot saath . Dada ji – these are my 2nd and 3rd grandson. Laksh and sanskar . and these are bahus , ragini and swara . Mona licks her lips – bade sunder hai aapke..pote ! Sanskar coughs water. 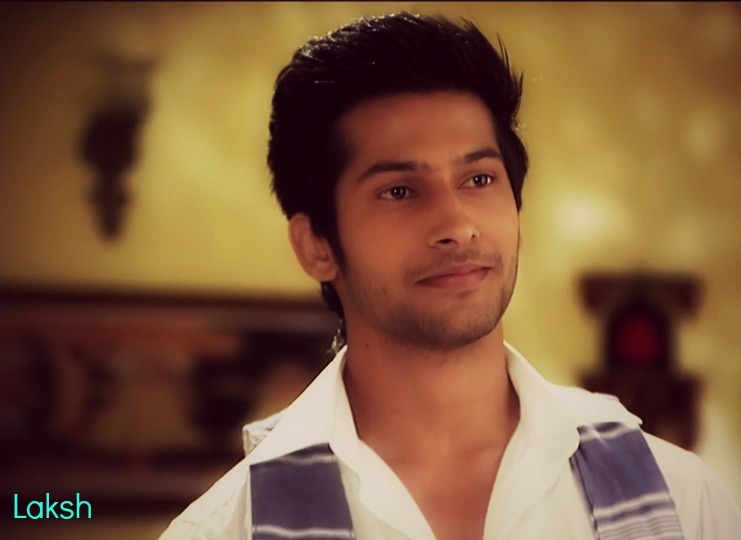 Laksh grins widely. Swaragini make o face . Dada ji – this is ur damad, my youngest grandson Ranveer, and this is my youngest grand daughter …kanchi. Kaliya smirks. Kanchi smiles – namaste ! Dadi – and this is our little grand daughter. Shivanya . Rupvati – she is so sweet. Ragini swara ..u both don’t have children yet ?? Swara and ragini turn red. Suhana turns red..- umm..uh..mona beta..ur husband didn’t come ?? Suhana – excuse me ?? Suhana – oh um so sorry. Mona – its okay.vaise bhi..maze nahi diye unhone mujhe…accha huwa chale gaye..
Anahita coughs – uh..ill come in a while. Ragini looks at kaliya and shocks. Sanskar – kya huwa…?? Tumhe ?? ragini – sanky..swara..i had seen him misbehaving with a girl and slapped him yesterday..
Laksh – kya ?? u slapped our would be in law ??? lol ragini..
Swara chuckles – shut up u both ! Dada is about to have sweets . Dadi – arvind..how many times I have told u not to eat sweets..
Shivaay makes o face – what the ! anika smiles. Dada ji – now this will be a helluva journey ! 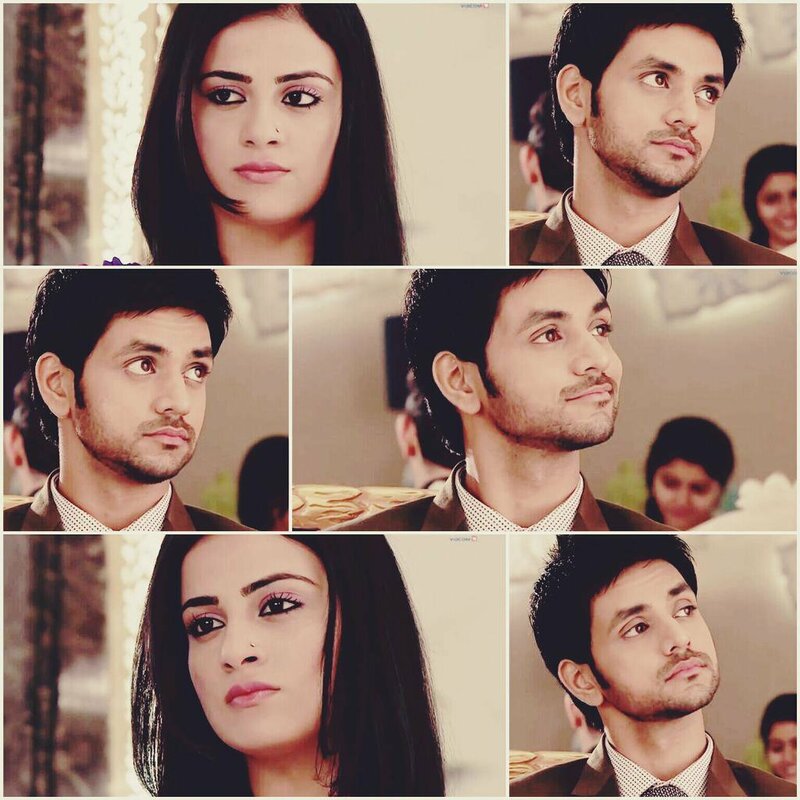 Ishveer look at each other. Dadi – we have a room short. So..swara ragini and laksh sanskar will share sanskar’s room. Sanskar frowns – f**k !! Laksh laughs – correction bro…no f**k ! Dadi – raglak’s room will be taken by mona , and guest room will be for molaram and rupvati. Roody’s room is under renovation, so he will stay with kunj. Mona can take the other guest room. As kaanchi has exams and needs privacy. Ragini – god bless my bedroom ! The door of the mansion closes. Anika screams – Where is my baby ?????? Shivaay comes with Shivi – why does she smell like soyabean oil ? Laksh is shown doing push ups shirtless. A lady screams – chi !!!!!!!!!chi! 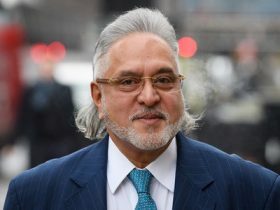 raam raam raam ..yeh maine kya dekh liya ? A lady winks at him. Swara enlarges her eyes. kanchi screams – i love u !!!!!!!!!!!!!!!! !